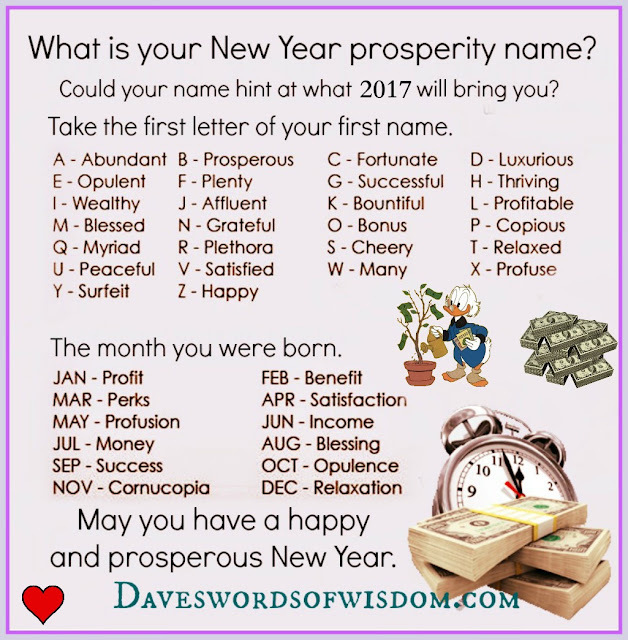 What is your "New year's Prosperity name?" Could your name hint at what this new year has in store for you? Its easy to find out your "New Year Prosperity name" Just take the first initial of your first name and the number of the month you were born. Put them together and you have your prosperity Name. May the new year bring you good fortune and many blessings.